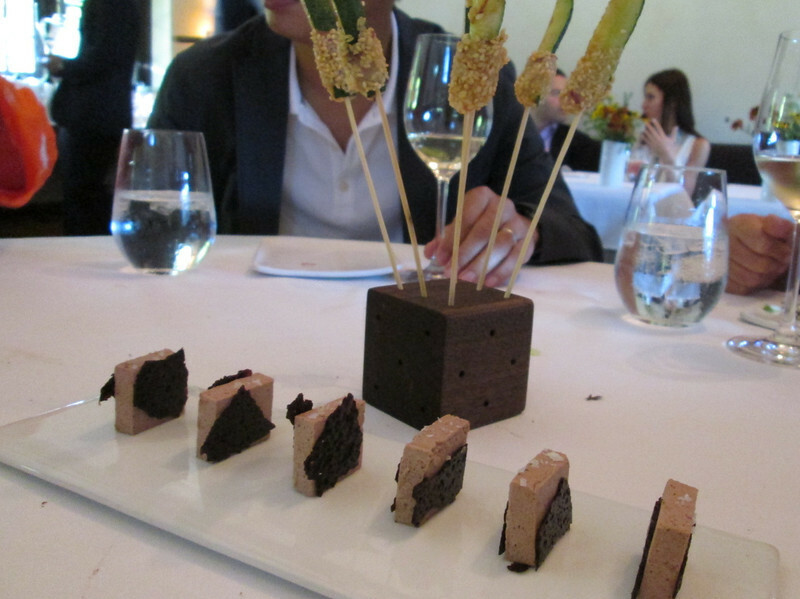 course #7: in front is a pork liver pate with salt, surrounded by chocolate. It tasted like foie gras. In the cube are skewers of zucchini covered in sesame seeds.